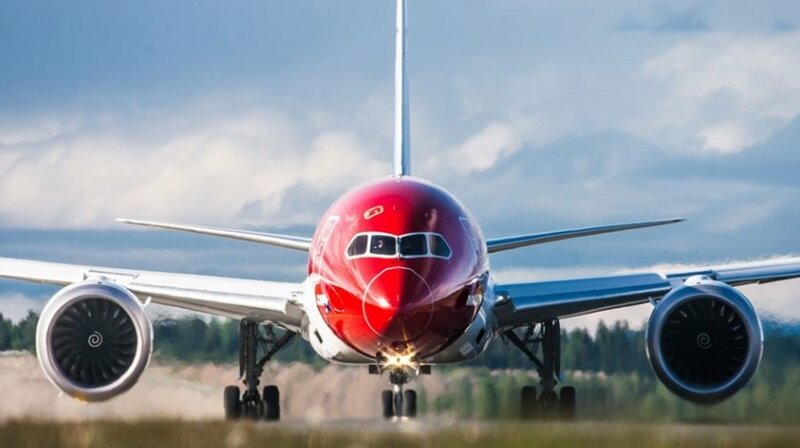 Low-cost carrier Norwegian is planning to open up transatlantic services from several mid-sized US cities that do not have European flights, the airline’s CEO said. He did not think that there would be passenger reluctance to fly long-haul on single-aisle aircraft: “We fly from Scandinavia to Dubai today and that’s not a problem,” he said, pointing out that a flight to India would be only about 90 minutes longer. Norwegian obtained permission from the US Department of Transportation in Dec. 2016 to operate US services with its Ireland-based Norwegian Air International subsidiary. Kjos confirmed rumors that its two new bases in the US would be located in Providence, Rhode Island, and Stewart International Airport, New York State. Stewart is about 35 miles (60km) north of Manhattan and about a 75 minute drive from New York City, he said. It is near a major outlet mall and the area there are plans to build a Legoland theme park in the area within the next three years. Norwegian is expected to announce a series of new Europe –US routes this week. The fast-growing carrier is planning for a 30% increase in capacity this year, with more than 30 aircraft deliveries scheduled– mainly Boeing 737-800s — its first 737 MAXs and more 787s. The challenge is to find enough 787 pilots, Kjos said. However, recruitment in general “looks very good, especially in long-haul. I think the airlines in the Middle East have downsized or have postponed orders, so a lot of people are coming back [to Europe],” he added. Growth of another major operator, Turkish Airlines, also slowed as a result of a drop in traffic demand. But the biggest problem last year was the shock of Brexit, the UK’s vote to leave the European Union, Kjos said. The uncertainty generated by that decision is being seen in bookings and the subsequent drop in the value of sterling had also put a dampener on UK reservations, he said. On the plus side, however, sterling’s weakness had made London – already a popular destination for US and Scandinavian tourists – even more attractive, especially for shopping trips. Work was continuing on the planned link-up with Ireland-based LCC Ryanair, he added, with efforts concentrating on ensuring that the two airlines’ reservations systems were able to talk to each other. “We hope to have it set up well before the summer,” he said.